Liberals are easily confused by science. When someone in a white lab coat tells them something they believe it without bothering to investigate their statements for factual accuracy. They don’t even have to have a lab coat if they say they’ve consulted with experts like Al Gore did in making his movie. Contrary to what Al Gore concluded, CO2 was not the cause of Ice Ages, but the result. Planetary CO2 levels rose after ice covered most of the northern hemisphere and covered up all the green stuff that breathes in CO2. Al Gore’s “hockey stick graph” that depicts the CO2 output of human industry also has nothing to do with the amount of CO2 actually in the atmosphere. The readings from arctic ice cores that were used to measure atmospheric CO2 are not what are being used to make measurements today. Liberals say you have to be a scientist to understand their global warming science, but it is forced on people by their Chicken Little religious fanatics of Gaia worshippers. Your first clue that this is liberals backwards think is the contradictions in scientific reality; Democrats says CO2 in the atmosphere heats up the planet and will make the polar ice caps melt causing the seas to rise, but no evaporation will reach the land which will become desert. And if it’s going to cause the planet to burn up then how did it previously cause ice ages? Most importantly, if human carbon output is so horrible, why did Obama sign an accord with China to allow them to produce ten times the CO2 pollution as the USA? If climate change is a greater threat to our existence than the Islamic Jihad then why wasn’t there a single question about it in the debates? Liberals would be more believable if their claim they could predict the future climate of the planet if they could be the least bit accurate in writing the Farmer’s Almanac. None of them can answer the question; what happens at the end of every warming period to cause the world to plunge into an Ice Age for ten eons? Could it be that the evolutionists and their theory is a complete load of horse manure and that mankind has been where we are today multiple times? Could it be man destroyed the planet to the extent that it took a hundred millennia to recover and man could spread and develop once again until he caused climatological collapse? Or is it simply that the Sun changes the Earth’s climate and that no one knows what causes the ice ages because it is a celestial event and not a planetary catastrophe? 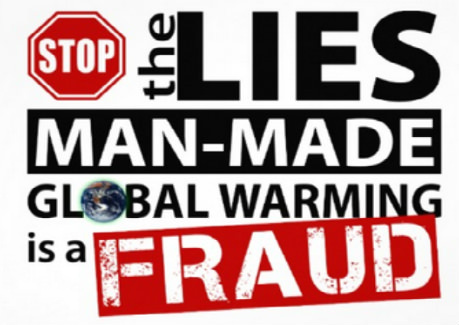 Penn & Teller global warming is bullsh*t! Liberals point at Miami and say the oceans have risen causing flooding in the streets. But scientists say the ocean level has only gone up a couple of centimeters, not a few feet. Maybe that sand bar they built those huge skyscraper hotels on is losing sand from beneath their foundations and sinking? Super volcanoes, nuclear war, or solar flares. Nobody knows why ice ages happen. But that doesn’t stop Democrats from saying they can cure the “Earth’s fever being caused by the human virus” if you just give them all of your money to save the planet from CO2. What you can do as a good liberal for your part in saving the Earth from CO2 is quite simple – stop exhaling. Black Pitchforks for White Trump Voters(Political Cartoon) Gotta be Something in the Water!